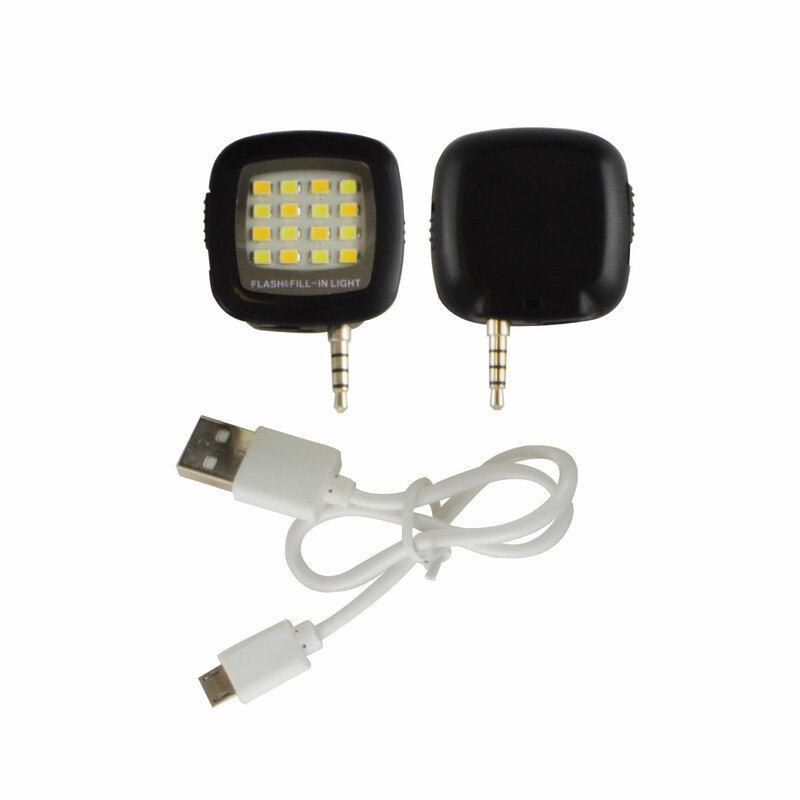 External LED fill light for smartphone photography. Features on/off switch and 3 brightness settings. Also works as pocket spot light.Mounts to any minijack port. Packaged in box.